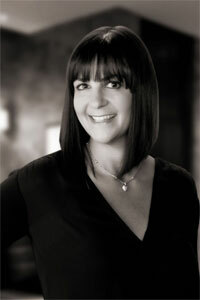 Julie Mahfood/Julie Adler Mahfood: Lighthouse Point real estate, Boca Raton Real Estate, Deerfield Beach Homes, Pompano Beach Homes, Ft. Lauderdale real estate, Broward County waterfront homes. In today’s real estate market, there’s absolutely no substitute for professional representation. I am committed to providing my clients with honesty, expert knowledge and the professionalism necessary to complete one of the most significant financial decisions you are likely to ever make. If you are looking to buy or sell real estate in Broward or Palm Beach County, I am here to help! Please use this website as a valuable resource to guide you through all your local real estate needs, exploring different communities and checking relevant local news. I welcome you to contact me if you have any questions or need my expertise in selling your residence, buying your dream home or looking for great investment property. I appreciate your trust in me and look forward to working with you! 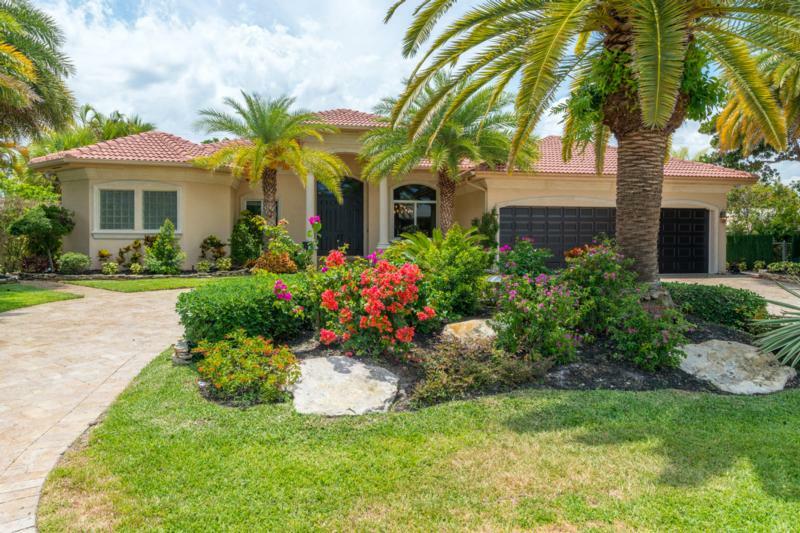 Tucked away on an island street, this custom 4 bed/4 bath plus media room home sits on a 12,000 SF deepwater lot, just 8 houses from the intracoastal! From the moment you enter this custom built home, you're welcomed by the soaring ceilings, loads of natural light and how it is set up for entertaining either inside or out. Some of the features include covered outdoor living space overlooking 100' of waterfront, concrete pilings with separate electric and water on dock, free form pool and spa, dedicated media room, formal dining room, great room with a custom built wet bar. Upstairs master suite boasts his and her walk in closets, sitting area, office and walk out balcony to enjoy the ocean breeze. Comes complete with High powered charging station for your electric car! A must see home! 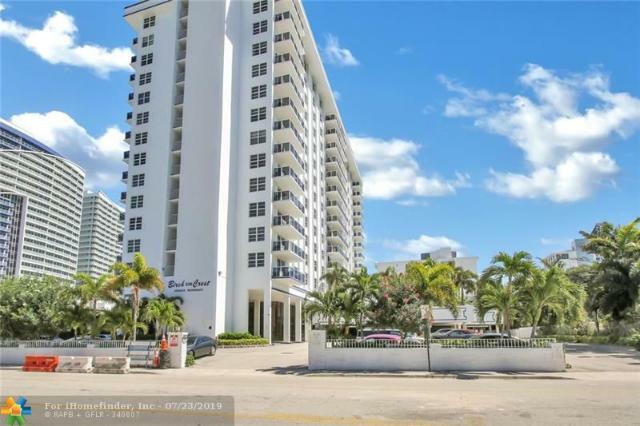 1 bedroom, 1.5 bath condo on trendy FORT LAUDERDALE BEACH. Enjoy spectacular ocean & intracoastal views from the private unobstructed north facing balcony! Hurricane impact glass, neutral porcelain tile throughout. Minutes to Las Olas and Galleria Mall. MAJOR UPGRADES include: New pool & deck, bar & BBQ area, fitness ctr, resurfaced garage, driveway and more. Full-time manager. Hassle free lifestyle. Across from sandy beaches, shopping, dining & magnificent sunrises & sets. Unit has 2 storage lockers. No assessments! "Julie is amazing. It took us a while to find the perfect house and she was very patient with us. She was very conscientious, reliable, friendly, and honest and more than met our expectations of a Real Estate agent. I highly recommend her!!" "Julie was so great in helping us find a home and I wouldn't change a thing if I had to go through that process again! She was consistently hunting down new listings + going to view them with us and giving her honest feedback + asking the selling agent questions we weren't always thinking of during the viewings. She helped further educate us throughout the home buying process + helped us make a well rounded decision to make sure we'd be happy in our new home. 2 thumbs up and would highly recommend"
"Julie helped us buy our home in 30 days including finding, dealing with the seller and handling all the details and we were 3000 miles away. The process was so EASY and stress free - getting cable into our house was more difficult. Julie is very knowledgeable and helpful and never hesitated to always keep us aware of everything that was going on with the purchase. Never missed a call or email and always had all the answers to questions that plague a good night's sleep during the process. We would purchase more property from her if ..."
"Julie is the consummate professional... Purchasing a house can be anxiety ridden, but with Julie it was focused, goal oriented and smooth...when it came time to place an offer she knew more than any other of our advisers where to come in at price. After the inspection, again Julie was spot on with a number that was fair to both parties for a credit. We closed and needed some referrals, with her suggestions we were able to get the things started on the house in record time... Thank you Julie!" "From start to finish the entire process of selling our home was smooth. Julie, once again, proved herself with perfect pricing of our home to get us top dollar and a quick closing. Would recommend time and time again! Thank you Julie!" "Julie helped me get a beautiful condo in Pompano Beach that was way above my price point, that I never thought I would be able to get. But due to her excellent negotiating skills with the listing agent, I was able to purchase it for $28,500 less than the asking price. If you are looking for a real estate professional who has your best interest at heart, and will do an outstanding job for you, Julie is that person. I know I will use her if I ever need a real estate professional in the future!" "After a terrible start with another realtor I contacted Julie who had sold our neighbor's home. She met with us, listed our home, advertised it all over, open-housed it and sold it for nearly list price in a VERY short period of time. We could not be happier with Julie and the results she provided for us. I would definately recommend Julie to anyone who wants someone you can trust with your most valuable asset. She made a stressful move out-of-state a very easy transition for us!!" "I had a very unique property in Light House Point, and Julie did such a fabulous job selling the property for my firm. I'm a real estate investor and have bought and sold numerous properties over the years, and dealt with numerous Realtors and professionals, and Julie tops the list. If I could give her an 11/10 I would do so. She did all the little things and was overly accommodating and helped out wherever she could. Anyone who is looking to buy a property or sell a property in Broward County I would HIGHLY recommend Julie. 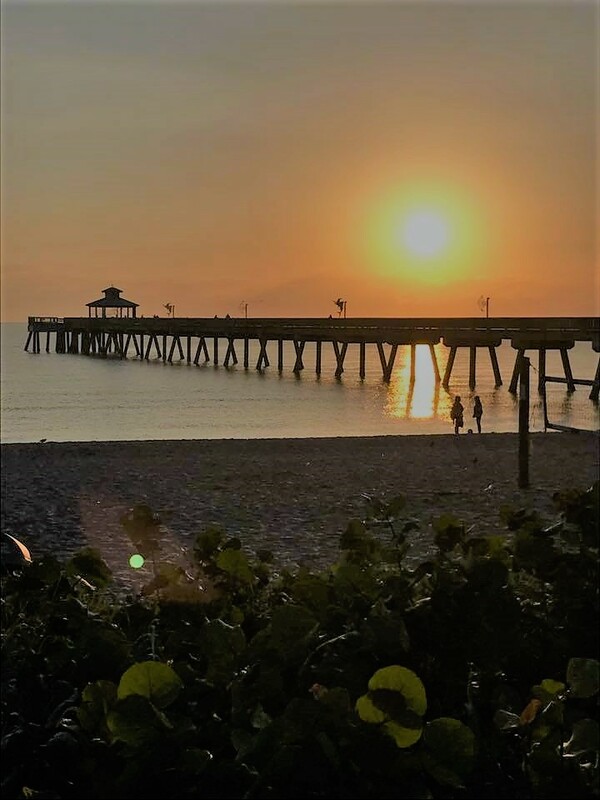 She'..."
"Extremely knowledgeable about the three areas we were looking at, Pompano Beach, Lighthouse Point, and Deerfield. Pointed out the shopping areas, restaurants, etc. always cheerful and knew all the realtors who listed the houses we looked at. I believe that was the key of finding just what we wanted and at the right price. Highly recommend her to everyone." "Julie is a an experienced realtor with knowledge of the area. Positive and took her time with us as we looked for our new home. Highly recommend and fast - finding us our new home. Well known by all the realtors we saw when viewing homes and friendly. Great reputation!"